Bake spare ribs before grilling to tenderize them. Pork spareribs are a mainstay at many summer barbecues, but grilling them alone may leave them tough and flavorless. Coat spare ribs with a spicy rub and bake them before grilling. This slow-cooking method will allow the spices to permeate the meat, creating rich, tender results. Serve spare ribs with coleslaw, potato salad and watermelon for the quintessential American barbecue. Heat the oven to 300 degrees Fahrenheit. Take the spare ribs out of the packaging and set them on the broiling pan. 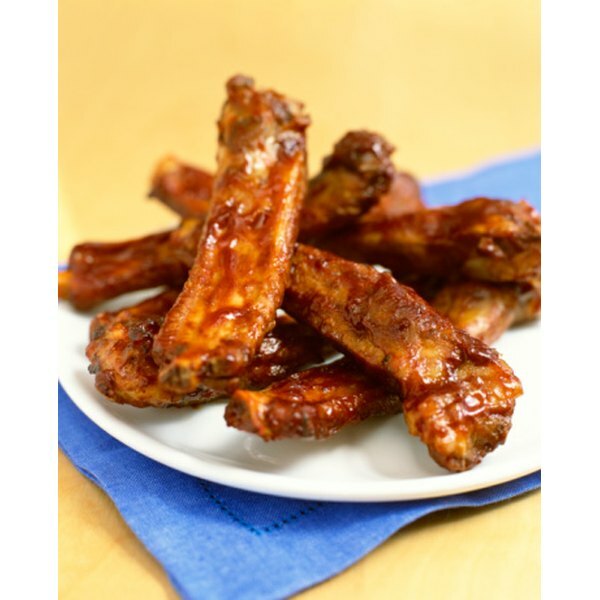 Mix the remaining ingredients in a bowl and sprinkle over the spare ribs with a spoon. Use your fingers to press the rub into the meat. Cover the ribs with aluminum foil and place in the oven. Cook for two hours until tender. Transfer the spare ribs to a tray with tongs. Heat the grill to medium-high. Place the spare ribs on the grill and cook for 10 minutes on each side. Brush the meat with your favorite homemade or bottled sauce and cook for an additional five minutes on each side. Watch closely so the sauce doesn't burn. Spare ribs come from the meaty undersides of the hog and are what's left after the bacon has been trimmed away. 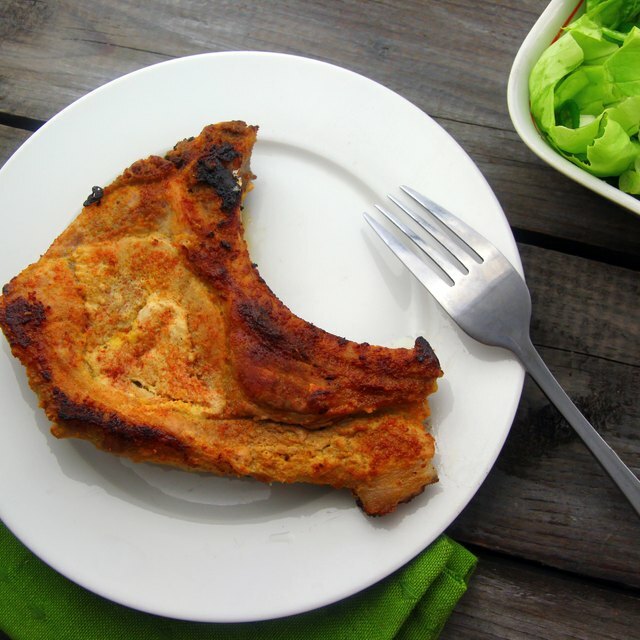 Look for spare ribs with slightly more meat than fat. The fat will tenderize and add flavor to the dish. Substitute baby back ribs or beef ribs instead. How Do I Cook Spare Ribs in an Electric Pressure Cooker?